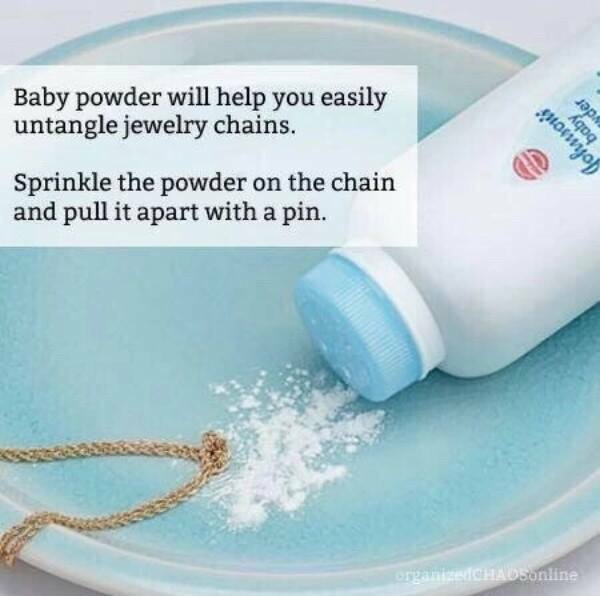 BABY POWDER WILL HELP YOU EASILY UNTANGLE JEWELRY CHAINS. S - ProudMummy.com the Web's Community for Mums. BABY POWDER WILL HELP YOU EASILY UNTANGLE JEWELRY CHAINS. SPRINKLE THE POWDER ON THE CHAIN AND PULL IT APART WITH A PIN.